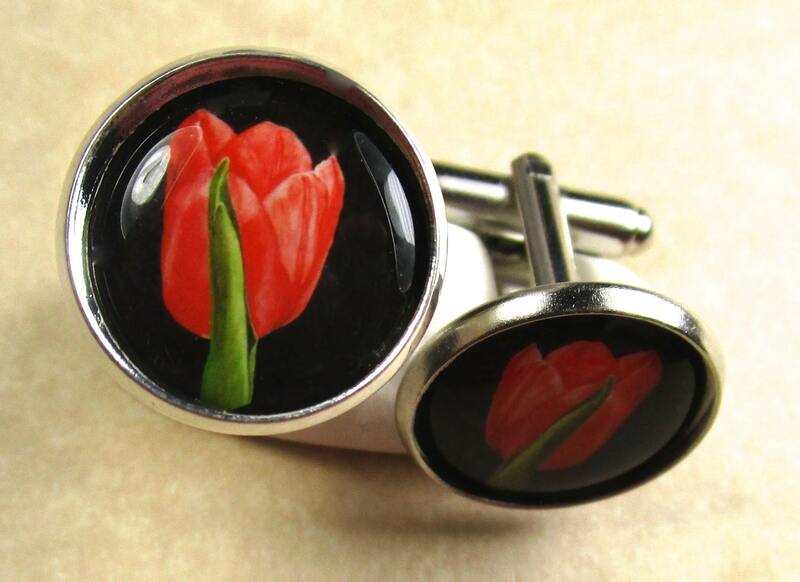 These red tulip cufflinks feature my watercolor painting depicting an open flower against a black background. The images have been flipped to provide a left and right cufflink. The settings are silver-tone and measure 18mm across and 27mm in length. The image is 16mm or approximately 5/8 inch across. The image is printed on professional photo paper and protected by an epoxy cabochon. I wear a pair of these through the button holes in my button-down collared shirts. The original painting hangs in our breakfast nook.